Bob Dylan wrote songs about Edie. 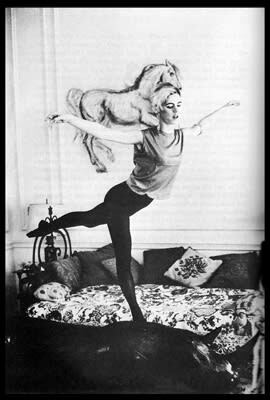 Edie became famous, landing a photo shoot with Vogue in which she was referred to as a "youthquaker." She attended exhibit opening with Warhol, which made her even more well-known. Edie and Warhol made 18 films, including one that featured Bob Dylan. Edie and Dylan had a flirtation, and the singer wrote songs about her like Just Like a Woman and Leopard-Skin Pill-Box Hat.